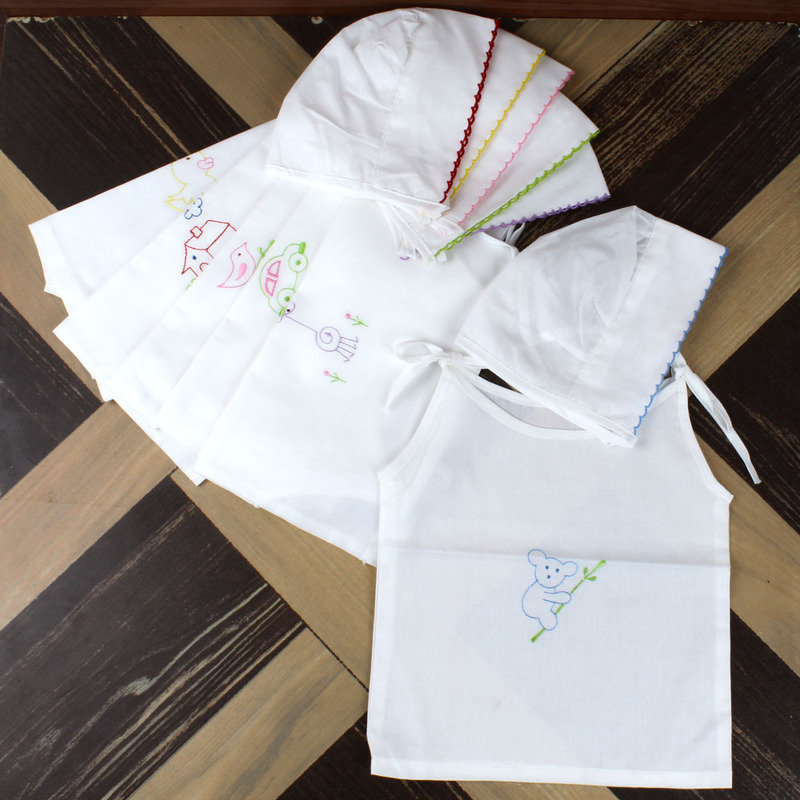 Product Consist : Sets of 6 Pcs Soft Cotton Top Knot Jabla along with 6 Pcs Cotton Caps (0-3 Months). Baby is priceless gift to all the parents so congratulate them & send special wishes through Giftacrossindia. We will help you to convey welcome wishes for your near and dear ones new born babies. Cotton is soft and comfortable because cotton is a natural fiber. 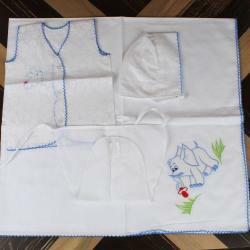 Just born is so delicate that is why cotton is the best fabric for the newborn’s skin. 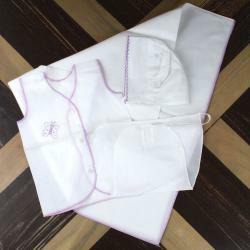 It is a good idea to gift organic cotton clothes for baby. 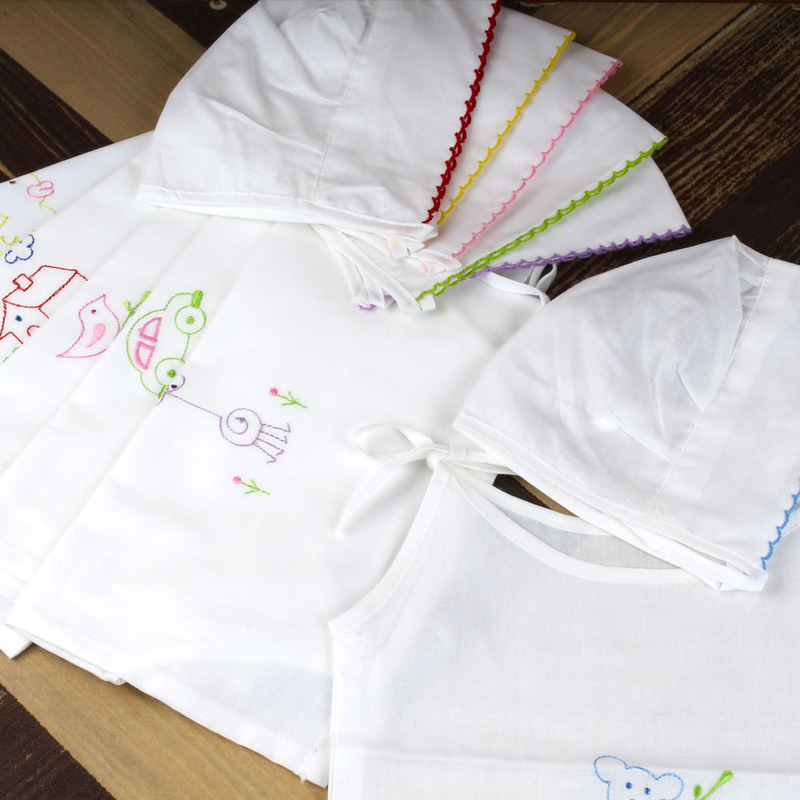 Our Baby e-store is ready for you & trust us it is a baby comfortable gift option choice. 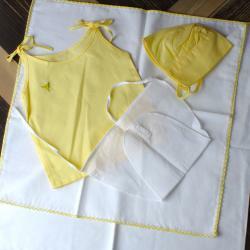 Product Includes : Sets of 6 Pcs Soft Cotton Top Knot Jabla along with 6 Pcs Cotton Caps (0-3 Months).